Medford Core is helping people achieve their fitness and healthy lifestyle goals. BILLIONS OF DOLLARS ARE SPENT EVERY YEAR ON DIETS AND GYM MEMBERSHIPS. So why do so many people start every January off with great intentions, yet more than 90 percent fail at attaining their goals? According to James Jefferson, a licensed wellcoach and owner of Medford Core, it all comes down to science and fine tuning. In other words, it’s not just your exercise regimen that may need to be revamped, but your diet, sleep routine and lifestyle choices. Jefferson, M.E.S., has 32 years of experience helping people reach their fitness goals. He has a master’s degree in exercise physiology and multiple exercise and nutrition certifications. Medford Core, a private exercise facility, is not a typical gym. There are no memberships or contracts, only results. Jefferson, a master personal trainer with over 200,000 hours of training, is not like any other trainer in the area and the facility is very private, clean and organized. “I use a scientific approach to get you where you want to be,” Jefferson says. “I only take on 30 customers at any one time so that I can be 100 percent successful helping you.” Before you begin your fitness journey at Medford Core, you must do a personal interview with Jefferson, so he can assess whether you are a fit for the program. If you’re taken on as a client, then your initial investment is $1,500, so that Jefferson can spend every day for the first 30 days coaching you on how to shop for food, prepare healthy meals, breathe correctly, achieve mental focus, maintain a proper sleep routine and, of course, train effectively. After the first month, the cost decreases as your knowledge increases. 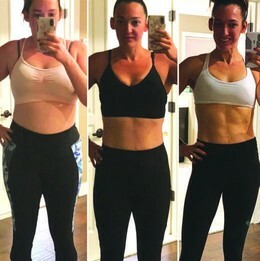 If you’re ready to make a change, transform your body and finally reach the healthy lifestyle you’ve been trying in vain to attain, don’t wait any longer as space is very limited. Take the first step in committing to a better you by setting up an interview with James Jefferson at Medford Core.